Photos by Brandon Macz: The City of Seattle's Leschi South marina is in the worst condition, and expected to be replaced first. 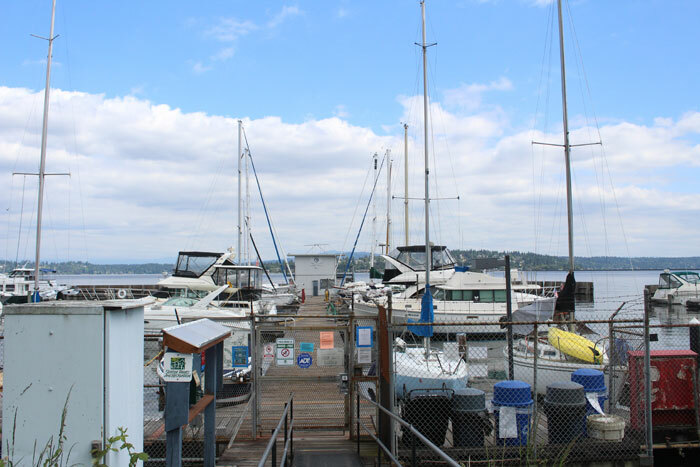 The Leschi North marina will be replaced last, after the Lakewood Moorage. Seattle Parks and Recreation has determined an environmental impact statement won’t be necessary before three city-owned Lake Washington marinas in poor shape are replaced, which could start as early as this fall. 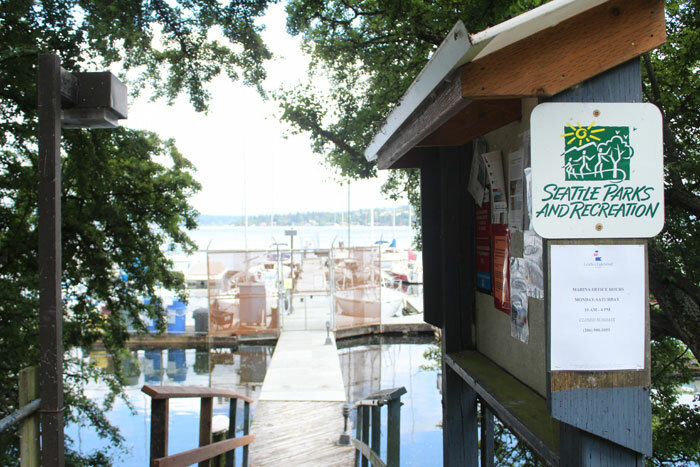 SPR recently entered into a lease agreement with Marina Management LLC to maintain, operate and improve public access to the Leschi North, Leschi South and Lakewood Moorage public marinas. “It’s great that we provide public moorage, but we don’t have that operations expertise,” said SPR senior planner David Graves about getting out of the marina business. Each improvement plan has different specifics, and all include removal of creosote-treated wood pilings, floating docks and steel tube breakwaters/wave attenuators, according to SPR’s Determination of Non-Significance (DNS). New docks, steel pipes and breakwaters/wave attenuators would then be installed, along with pump-out facilities and public short-stay moorage. There is no short-stay moorage currently at the marinas, nor are there pump-out facilities for boats with bathrooms. Graves said SPR recently secured some grant funding for the pump-out facilities. Those will likely be put in place next year. “We’re sorting out the budget for that, right now,” Graves said. The outer row of floats at Leschi South were removed in July 2017, according to the DNS, because they had sunk and created what the Seattle Department of Construction and Inspections deemed a safety hazard. It is in the worst condition out of the three marinas. Under the marina lease agreement reached with Marina Management, the company is providing the capital improvements, plus 3 percent of its gross revenue from rentals in quarterly payments. The city committed to investing $3.8 million for design, procurement, permitting and construction, according to the lease agreement. Marina Management is required to provide at least six free community events per year, and also maintain and improve space for existing programs. That includes for the Dragon Boats, Corinthian Yacht Club, Thistle fleet, Footloose Sailing program and Thunderbirds. 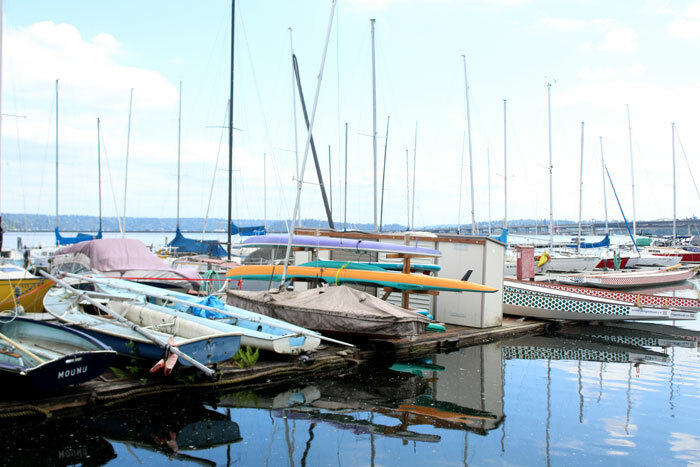 The Leschi South marina improvements are expected to start first, followed by the Lakewood Moorage, and then Leschi North. Each moorage project is expected to take up to two months to complete, and the total overwater coverage by structures is expected to decrease by 167 square feet. The expectation is that Marina Management will be able to relocate renters from one moorage site to another. Graves said improving light is good for underwater plants, and also for juvenile salmon that swim along the shoreline. Predators hide under dark docks, and salmon do not adjust to changes in light the same way people do, Graves said. Instead, they will go out to deep water, where they’re at greater risk of being eaten by predators. The old piers, floats, walkways and wave attenuators will be removed by a crane and placed on a barge, and then the creosote-treated pilings will be removed. The new piers and walkways will be towed in afterward, according to the DNS. “Since they’re off the shelf, there’s not a lot of design work to do,” Graves said about the floating docks. Leschi North is at 324 Lake Washington Blvd., Leschi South at 150 Lakeside Ave. S., and Lakewood Moorage is at 4500 Lake Washington Blvd. S.